Koblet was the first non-Italian to win the Giro d’Italia. He did that in 1950 in front of Gino Bartali and Alfredo Martini of Italy. 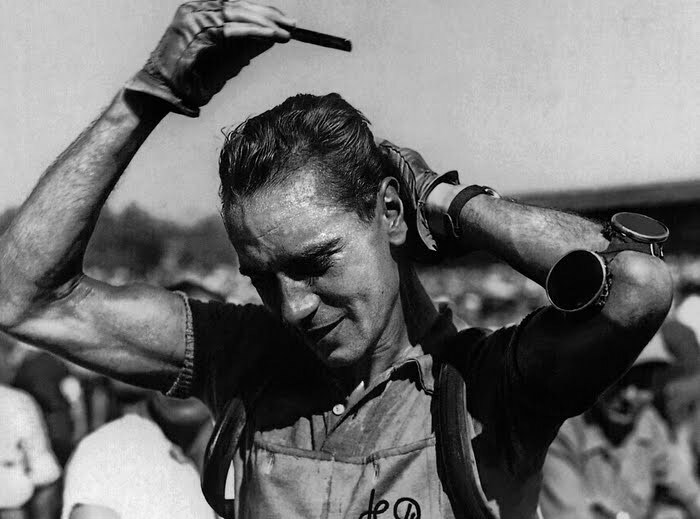 Hugo Koblet kept a comb, wet sponge and cologne in the pockets of his yellow jerseys so he could look and smell good at the end of stages. Koblet was known as the “Pedaler of Charm” because of his elegant position on the bike and his smooth pedaling style. The Swiss rider also kept a comb, wet sponge and cologne in the pockets of his yellow jerseys so he could look and smell good at the end of stages. Here is the trailer of “Pédaleur de charme”. A scene from the movie “Pédaleur de charme”.